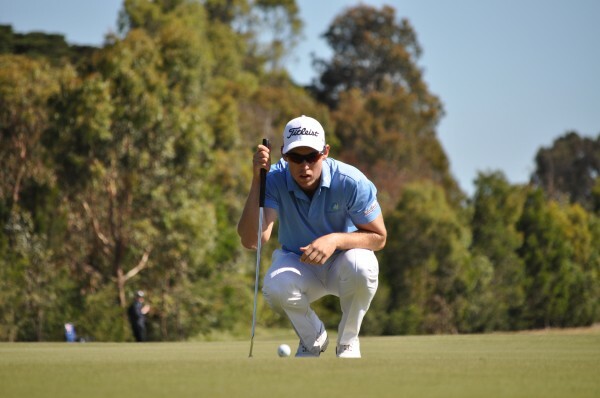 Having secured his Asian Tour card in his first attempt at the Qualifying School in Thailand, young Aussie Nathan Holman talks about the challenges he faces moving forward. What made you want to play on the Asian Tour? I’ve had some great experiences playing in Asia and I know there are a lot of great tournaments out here. I’ve got a few friends in Asia as well and that kind of brought me here. How do you feel now that you’ve secured your Tour card for 2014? It’s amazing that I’ve gotten my Tour card now. I feel good that I got through this as there’s no other tournament that is more pressure-packed than this! I worked hard before coming into this and I’m glad it paid off. The Asian Tour definitely knows how to run golf tournaments! Everything is so well-organised and I’m really pleased with it. When did you start to play golf and what sparked your interest? My grandfather got me started playing golf when I was probably four or five years old. I’ve been playing junior golf since I was about eight years old. I went on to play in college and in university and all the way until I turned professional last October. I’ve always got the drive to play professionally so playing on the Asian Tour would definitely be a good start for me. What makes you want to turn professional? I grew up watching golf on television and my grandparents always wanted me to be like one of those guys out there. I love the game and playing professional golf was my goal since a long time ago. What would you be if you’re not a professional golfer? Honestly, I have no idea. It is my dream to play professional golf and I really haven’t thought of what else I would be if I’m not a professional golfer. How long did it take you to reach single handicap? I reached single handicap when I was about 14 years old. It took me about six to seven years. What are you goals in golf? I would definitely like to get into top ten in the world. Being the world number one would be an approachable goal but I would like to do it step-by-step. What keeps you on top of your game? I have a very loving girlfriend (laughs) and a very supportive family. They push me every day and ensure that I can be the best that I can be. What do you think will be the most difficult part of being a rookie on the Asian Tour? The travelling part. I travelled a lot more than I used to. There’s going to be some adaptations to the time-change and coping with the language barriers and food. It will take some time to get used to the different cultures here and knowing the people and golf courses in Asia as well. When you are not playing golf, what will you be doing? I would probably be snow-boarding or wake-boarding. I love board sports! Otherwise, I would love to be home during my off-time. There’s so much to do back home like fishing or hanging out with my family and friends from college who are very supportive of me. How do you prepare before a round? I do a lot of stretching and I make sure I had a good sleep the night before. I try to get some refreshments before I get out there just to keep my energy up. Who is your inspiration in golf? Bob Guilder, who played on the PGA Tour before, has given me a lot of encouragement and advice in my golf game. He is my source of inspiration and I look up to him as a great mentor. What is your number one distraction when you’re out on the course? Probably when I get a little bit ahead of myself and walk too fast. I have the tendency to take it all fast out there so I always have to check on myself and ensure that I keep my tempo slow. How would you celebrate if you win a tournament? I would want my family, my coaches, my girlfriend and people close to me to be there to share my joy and celebrate the occasion with me.